Healing for Veterans: The Role of Yoga Therapy for PTSD. Over two million American service members were deployed to Iraq and Afghanistan. Today, one in three is coping with PTSD, traumatic brain injury or another stress-related disorder. Some could lose their silent battle: nationwide, veterans account for one out of five suicides. And countless other veterans are coping with stress and chronic pain from non-combat injuries. Clinically proven cases of healing PTSD through a specialized program of yoga therapy. Mindful Yoga Therapy is a pioneer in the field of yoga therapy as a complementary alternative treatment for veterans with PTSD, used in conjunction with psychotherapy. 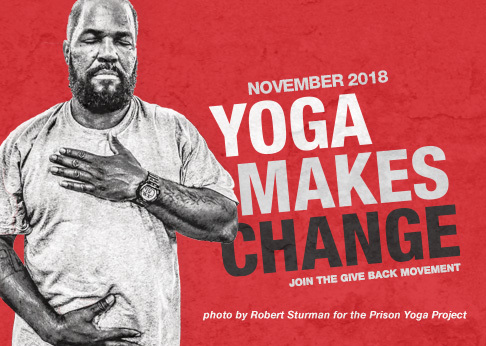 Program founder Suzanne Manafort has worked with veterans in a clinical setting for eight years, shaping the Mindful Yoga Therapy “toolbox” with the direct input of vets who found relief through these practices. Mindful Yoga Therapy programs or resources are now offered at 47 different VA facilities across the country. Mindful Yoga Therapy Practice Guide is available at no cost for Veterans and Service Members. Mindful Yoga Therapy is an empirically informed, clinically tested program comprised of five practices: Pranayama (breathing), Asana (postures connected with breath), Yoga Nidra, Meditation, and Gratitude. Each practice is a tool Veterans can use to cope with Post Traumatic Stress, and together, they form a comprehensive system – a toolbox – that will carry Veterans into a life of strength and resilience. MYT offers a range of trainings, from one-day intensives to a comprehensive 100-Hour Certification. 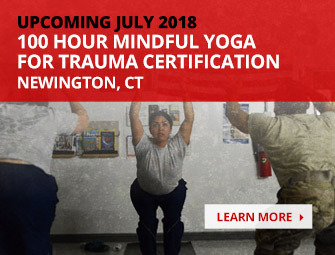 Our Goal: To help as many returning warriors as possible to embark on their healing journey and experience post-traumatic growth, Give Back Yoga is working to bring the Mindful Yoga Therapy for Veterans multi-media practice guide to 30,000 veterans, active duty service members and military families completely free of charge.